Education is a right of every person. However, in today’s society youths tends to disregard its essence. They get more inclined to vices and not spending time in school. There are many factors cited about this problem but it is very difficult to solve such if the youths are not willing to cooperate. Several scholarships awarded by different organizations (especially in United States) are aimed at upholding the importance of education in a person’s life. Some countries even included the right of education in their constitutions just to oblige people to get into school. However, in spite of the many hard work of these countries, many people still do not want to comply on it. Study shows that, most of the people who study their high education do not want to pursue their college school degree anymore. Therefore, illiteracy will prevail if people will continue to ignore the consequences of not being educated. There is a big diversity between a learned man and uneducated man. The former shows competency in most of the aspects of life while the latter has the tendency to get hesitant to perform his role in the society. There are times that it is very crucial to determine the exact value of education. It is with emphasis that you should consider education as your greatest edge and asset above all other people. Education is an opportunity that you should grab because you will not have the interest to study in your entire lifetime. Reality checks that when you apply for work, the first thing that the manager will ask you is whether you are able to finish a certain degree or not. If your response is negative, it may manifest by getting the very least chance of being accepted in the job. Therefore, many times, if a person does not hold any degree, he is constrained to fewer employment opportunities. Educators are always available to support your needs in terms of learning. Their major role is to give you a background on the many aspects and methodologies in education. Learning is a process that requires both the teacher and the student’s cooperation. Nothing will happen if only one of the agents will work since it requires a collaborative effort. The technology even helps in promoting the essence of education. Recently, you can already surf the net and search for the preferred degree that you want to take up. There are already accessible sites where you can avail the needed online education. 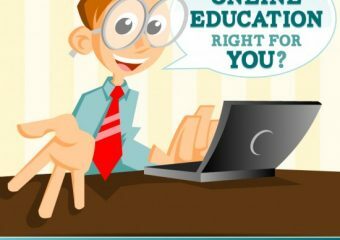 What is Online Education all about? Online education is a form of flexible learning where anytime education could be possible. You can do this by just having access to the internet and the specific site that provides online education. Courses are categorized depending on the needs of the students. Like a typical school, it offers a much wider-range of learning in different fields. As technology transforms and the workplace advances, there is a great necessity for more formal education for you to get the job that is best suited for you. Now, the online education makes things easy for you. Are the online courses equally important? Aside from learning, it will also be an avenue for you to have an access to well-known universities in the different parts of the world. It will be a tool for you to find out, which is the best school for you to study.